Annabel Grey has been brought up to be a very proper Victorian young lady. But being ‘proper’ isn’t always easy - especially when you can sometimes see marvellous (as well as terrifying) things in puddles. But parlour tricks such as these are nothing compared to the world that Annabel is about to enter. After the rather sudden departure of her mother, Annabel is sent to live with her aunts. They claim to be Shoreditch witches, and from a very old family line of them too. They’re keen to introduce Annabel to their world of transformation, potions and flying broomsticks (which seem to have strong personalities of their own) but are horrified when Annabel announces not only does she not know any magic, young ladies shouldn’t believe in such things. But before Annabel has time to decide whether she does or not, she is swept into an urgent quest. The trees of Highgate have been whispering to Kitty - an extraordinary urchin of a girl, who Annabel’s aunts seem very fond of - and so have the fairies. They talk of a terrible, dark magic that wants to devour all of London. And of a most magical girl who might be able to stop it. This sparkling and enchanting story is sure to bewitch you, so curl up in front of the fire, and prepare to be swept away. 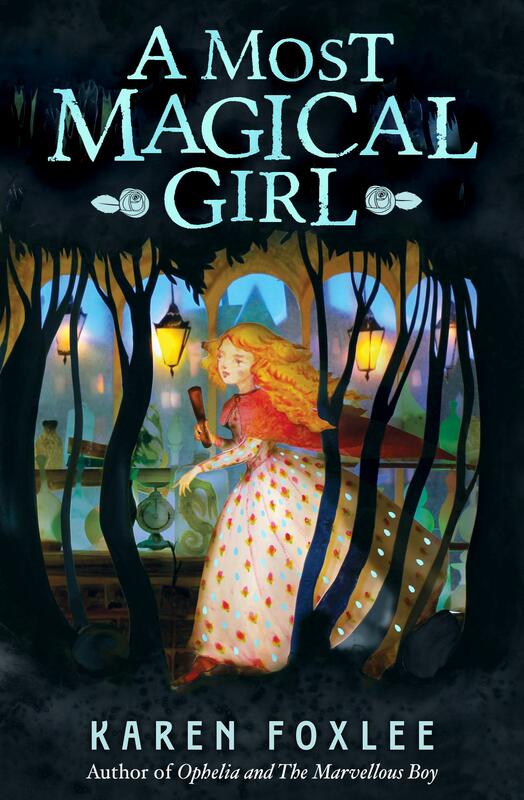 A Most Magical Girl is an imaginative and beguiling tale set in Victorian London, where the city’s ageing witches and wizards struggle against a malevolent villain in a quintessential battle of good and evil. Naturally, they turn to a magical girl to save the world. A reluctant and apprehensive heroine, Annabel believes herself an ordinary girl in extraordinary circumstances. But she and the ‘wild’ girl Kitty (a magical girl in her own right) are incredibly endearing; vulnerable yet strong while battling both their internal fears and external challenges. There’s a wonderful juxtaposition between prim and proper Annabel and tough and gritty Kitty, and their fractious friendship borne of necessity but (ultimately) mutual respect. Karen Foxlee successfully draws the reader in with wonderfully appealing characters and a deliciously tense story line injected with a deft touch of wry humour. This is a magical adventure exploring the search for identity, family and friendship that is perfect for independent readers aged 9, and it’s also an ideal read-aloud for the whole family. Highly recommended. A touching and funny novel about ten-year-old Jennifer Day living in a small mining town full of secrets. Trying to make sense of the sudden death of her teenage sister Beth, she looks to the adult world around her for answers.